Designed and built to cover multiple international testing standards, the Ray-Ran Advanced HDT/ Vicat Apparatus utilises microprocessor technology to accurately determine the deflection and softening point characteristics of all thermo plastic test specimens. 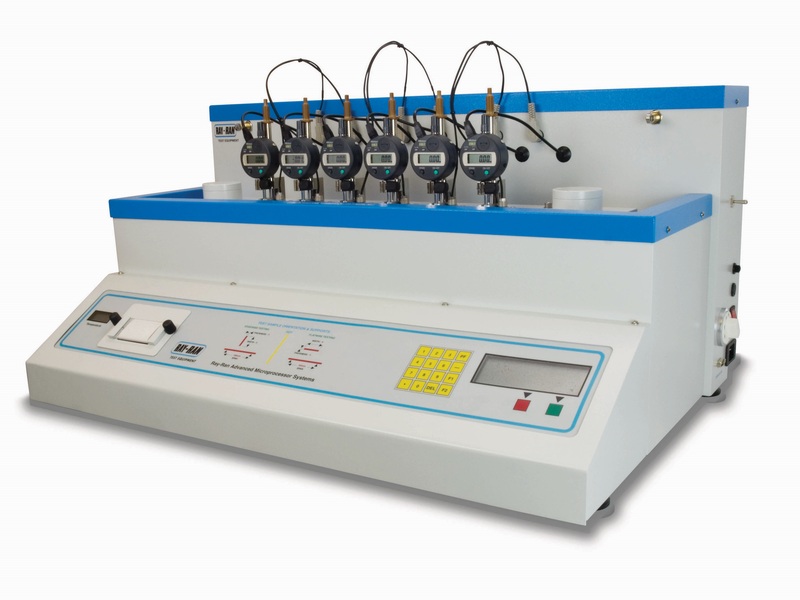 The HDT/Vicat apparatus allows for multiple simultaneous testing of samples depending on the amount of test stations available, either 2 or 4. Test results are downloaded to the supplied file capture software via the Rs232 serial connector and are displayed in tabular format. Results can also be saved as .CSV files which can be opened with microsoft excel for data manipulation and report presentation. if required, the optional thermal printer can be supplied and fitted to the apparatus for direct results printout.